Inside Installations - Make the best decision for your roof and home. Make the best decision for your roof and home. We prioritise quality and we compete with dedication. That is why we are always trustworthy. We are creative people making incredible things. We use only certified roofing installers so you need not have to take a call on the quality of work. They are always perfect. Be it replacing the roof or fixing the old ones we provide the best services. Are you going for a new construction or simply focussing on a simple add-on? We are here to do all that for you. We love the environment that we live in and that is the reason as to why we always go with go-green methods. Be it cleaning the shingles or preserving the additions ones, we can do it for you and we make sure that you are happy with what we are doing. We take of both residential and commercial wants. We never restrict ourselves. We have a broad working structure. Home is where the heart is! Make it look at its best! When you have to build a roof for your home, or replace the existing one, the options you have are quite numerous and the challenge is to choose the best one. Not all roofing solutions are suitable for any type of building. Factors that influence your choice include the area where you live, the temperatures and rainfall during the year, the insulation you wish to add and more. The roof must be 100% functional; after all, it’s most important role is to protect the house from weather, during many years and even decades. In the US, there are different types of climate and areas where storms with severe rainfall and hail are not a rarity. Not to mention that the effects of global warming bring these problems even to areas where they have not been a common occurrence until recently. In this context, buildings should be prepared for such situations. Whether we talk about construction techniques, reinforcements, or the way people react to natural disasters, it is clear that measures are in order, if you want to ensure safety. Having a solid roof above your head is one of the most important things. Today, there are impact-resistant shingles that definitely help with storm damage. 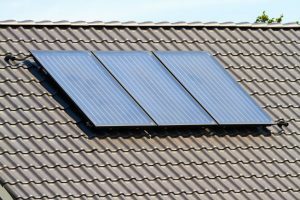 It is true that this solution represents a more expensive investment than regular roofing, but it is a very long term investment in the safety of your home, which also reflects in the increased value of your property. Looking for a roof that is wind and storm resistant, lightweight but, at the same time, strong, durable and aesthetically appealing? Stone coated metal shingles represent one of the best options when it comes to impact resistance and protection against storm damage, and come recommended by a Dallas general contractor experienced with roofing. If you choose this roofing solution, snow, wind and hail will be no longer a problem, and the 50-year warranty turns this material into the ideal solution for any roof. Its particular resistance is provided by the durability of the metal combined with stone, as well as by the efficient fastening system. Stone coated metal shingles are designed to provide maximum safety and a great aspect of the roof. Light weight and earthquake resistance – such a roof is up to 7 times lighter than a traditional roof. A lower weight means a lower loading of the structure and low costs related to roof installation, considering that no structural improvements are required. Fire resistance – materials used in the fabrication of stone coated metal shingles are non-flammable (steel, aluminum, zinc and natural stone). Sound insulation – thanks to the stone coat, these roofing materials provide good sound insulation. The installation of stone coated metal shingles is more difficult than regular shingles and should only be performed by a team of specialists, to avoid installation errors that will affect the functionality and warranties. Florida roofs are exposed to special climate conditions – the humid subtropical climate in the north and the tropical climate in the south can both be harsh on roofs. The state gets a rainy season from May to October that stresses roofs not only with large quantities of precipitation, but also with extreme weather events, such as thundershowers and storms. 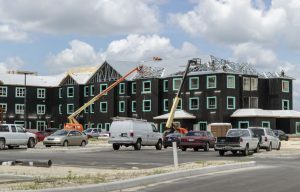 To be able to stand up to the extreme conditions, Florida buildings cannot use just any roof – the roofing products selected for the buildings in the region need to be strong and able to withstand anything from strong winds and harsh sunshine to heavy rain. Here are the best products for roofs in Florida. A popular and affordable solution that offers longevity, attractive appearance, quick and easy installation and comes with low maintenance needs. They are a bit sensitive to very harsh winds and really large hail stones can also hurt them, but they can efficiently withstand heavy rain and harsh sunshine. Most shingles are warranted for 25-50 years. These traditional roofing solutions are just perfect for Florida. They confer attractive appearance to the building underneath and they live very long, in most cases for over a century. Clay tiles are also resistant to ignition, insects and rot and they require very little maintenance. There is only one thing that homeowners should know about before picking the material for their new roof: both clay and concrete tiles are quite heavy, so the building they are installed on needs to be able to support the extra weight. Especially suitable for flat or low-sloping roofs, single-ply roofs are great, durable solutions for both commercial and residential buildings in Florida. Single-ply systems are available in many different colors, light-colored varieties offering the additional benefit of reflecting the sun’s heat, thus improving the building’s energy efficiency. Another popular solution for both residential and commercial applications. The alloys used for making metal roofing systems include steel, aluminum and copper, steel being the most common and the most popular. Metal roofs stand up well to harsh winds and heavy rain, they are resistant to fire and unattractive for pests, the only thing that can damage them being hail. Metal roofs don’t have any special maintenance needs, but they do need to be inspected and cleaned at least once a year. If you are still not sure what roofing material would work best on your roof, the best thing you can do is to consult a Panama City roofing expert. Call a contractor to visit your building, tell him about what you want in terms of appearance, durability, resistance and the price range you can afford and ask him to provide detailed descriptions of the pros and con of each of the materials he recommends. Make sure you ask all the questions you have about the roofing – you will want to make the best decision for your home and your budget, so you need all the information you can get. Are you concerned about how your old roof will fare once the coldest months of winter start to show what they can do? Fortunately, there are ways to improve the situation, if you take the time to do it. With the following tips, you can easily protect your roof during the winter, even if it’s somewhat old, and would normally have to be replaced. 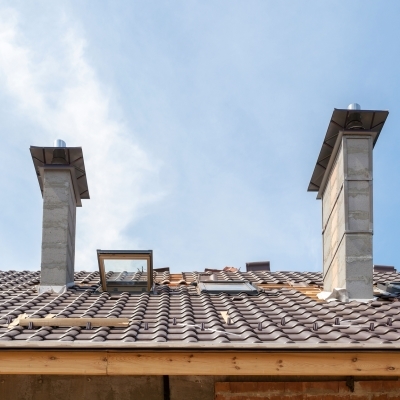 Roofing preparations are important before the winter cold hits. Just imagine sitting quietly in your home or business and suddenly having the weight of the snow on your roof cause a piece of old, dried up wood to break somewhere beneath the underlayment. Fixing the problem would eventually cost you a lot of money. One of the first things you should do is clean your roof and clear it of all debris. There might be fallen leaves or branches from tall trees, or you might find old, empty birds’ nests and other debris. Make sure to remove it entirely before the first snow arrives. 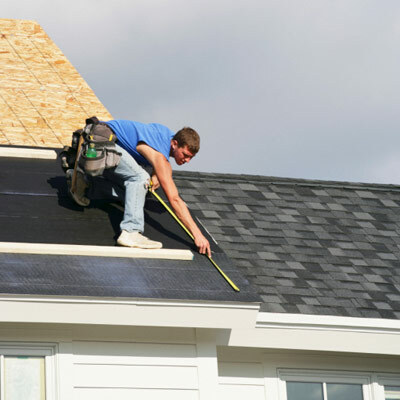 Schedule roofing companies Minneapolis experts to inspect your roof. While this is a task you have to perform both before and during winter, it is essential to examine your roof’s every little detail before snow and ice takes over. The pressure of the snow and the reduced temperature can lead to far more damage than you thought, if your roof isn’t fortified. We talked about removing fallen branches and leaves, but make sure to also trim your taller trees to prevent branches from falling on your roof during a blizzard. This is a very important task, because heavy branches can fall quite easily during a strong winter storm, and they can damage your roof to a significant extent. 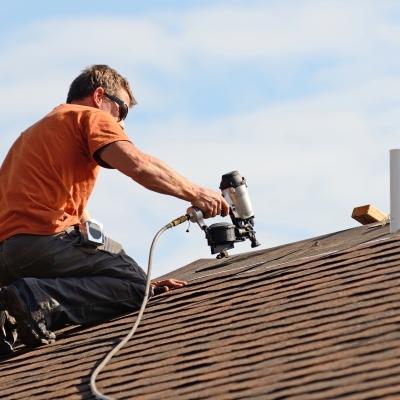 Finally, make sure that you hire a roofer to fix any leaks and flashing issues. Even though this can technically be done during winter, it would be far more difficult. Thinking ahead is important, however, since your roof can easily be flooded when the snow starts to melt. So getting out ahead of the problem will definitely help you out by the end of winter. What Should You Do Once Winter Has Arrived? Once the winter comes, it’s important to try to clear your roof of snow as frequently as possible. Large amounts of snow can put pressure on your roof, so it has to deal with an amount of weight it wasn’t designed for. Moreover, drainage can suffer – so it’s also a good idea to clean your gutters frequently as well – and as temperatures fluctuate, the snow can melt partially and then freeze again, leading to the formation of ice. It’s also a good idea to remove wind damage. Even though snow and ice can be destructive, wind damage can also affect your roof by blasting away flashing and shingles, or damaging your chimney. Finally, make sure you check the attic ventilation quite frequently. 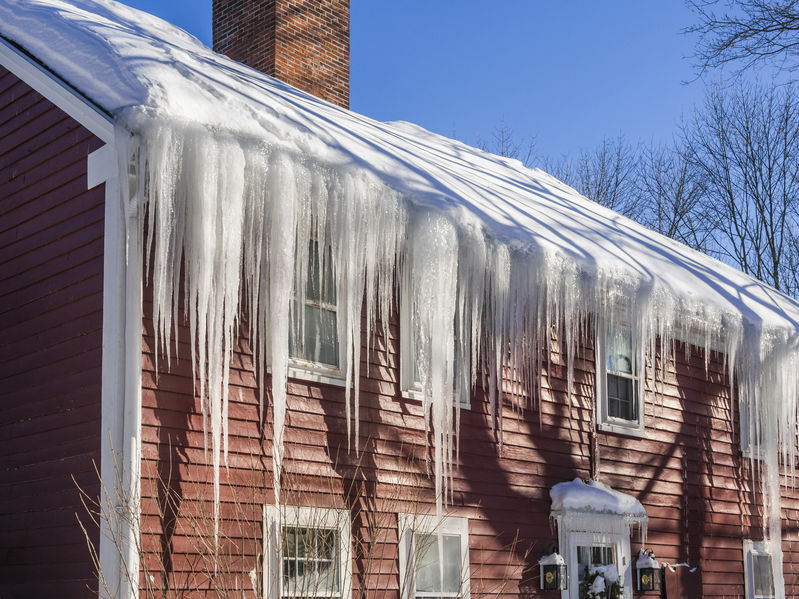 If your attic is poorly ventilated, it can easily expose your roof to the elements and cause problems such as ice dams. So, check your attic and make sure there are plenty of solid routes for the airflow to be kept at a consistent rate. For all your residential and commercial roofing needs. Copyright © 2018 insideinstallations.org. All rights reserved.